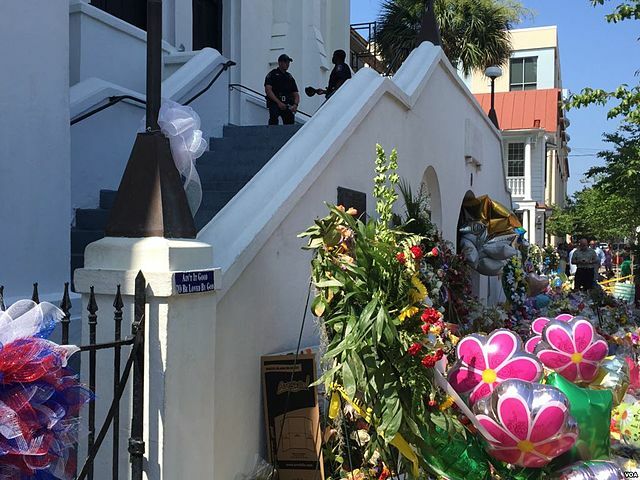 The first public words of the racist killer behind June 17, 2015, African Methodist Episcopal Church shooting, in Charleston, S.C. has finally spoken. ‘I do not regret what I did. I am not sorry’. This eerie statement came right out of a 42-page jailhouse diary of convicted murderer, Dylann Roof. On Thursday, January 5, 2017, the words of a criminal mind were read out loud to jurors. They sat through hours of hearing Roof’s long-winded thoughts before deciding his sentence. Officials uncovered the diary while a searching his cell, Quotes were read audibly by a Charleston County Sheriff’s detective for jury members. Loved ones and friends of the nine massacre victims were also present. Not many details were uncovered regarding his psychological state before he committed the murders. Nevertheless, mass media reports have been debating since the incident, whether the 22-year-old is mad or only a racist with a gun. Some unconfirmed reports have said that he may have used psychoactive drugs that are related to flare-ups of violence in people. To fit Roof in the sociopath category, he would have to be a person hungry for power. He craved hate and white supremacy. As psychologists explain, sociopaths do not feel guilt or remorse. Roof states he felt no regret about murdering his victims. The diary says that he only felt sorry for himself. The journal expressed his sentiments about giving up his freedom to endorse white supremacy. He wrote page after page explaining that he hoped to be exonerated if he were sentenced to life in prison. He even wrote that he thought Adolf Hitler would finally be glorified as one of God’s chosen people. Psychologists explain that sociopaths are not naturally evil, and some are extremely useful members of society. However, eyewitnesses said Roof was a menace to the public and an avid racist who targeted blacks, Jews, and Hispanics on his website. Over two dozen interviews and court documents displayed his early childhood as unfortunate and troubled. He was raised in a rocky and unstable home among claims of marital mistreatment and adultery. With that said, those facts could define the behavior of a rebellious adolescent. Then again, according to the psychologist, it does not necessarily make Roof a sociopath. In court, Roofstubbornly insisted on being defending himself lawyer throughout the sentencing stage of the trial. He took things a step further by demanding that any idea of his mental instability would be discarded. Roof told the judge and jury members in his opening statement that he does not have any psychological issues. There are others that disagree. Some bring up the point that when police searched Roof’s vehicle after his apprehension that birthday cards from his parents were discovered, along with suicide notes, written to his mother and father. The letters had passages that appeared to depict death as unquestionable. Psychologists state that if Roof were a sociopath, he would not be talking about suicide because he is suffering from intolerable pain. Their point is that either he is lying about planning suicide and only seeking to make people feel guilty. Conversely, Roof could have been sincere and could still commit suicide at some point to spite whoever he wants to hurt. In the end, to some, it is hard to say rather or not Roof’s diary exposes a young man with a criminal mind or just a bigot with a firearm. Nonetheless, the outcome remains unknown.